Comments: Papaya is cultivated throughout the world's tropical and frost-free sub-tropical regions for its edible fruit. There are male and female plants. 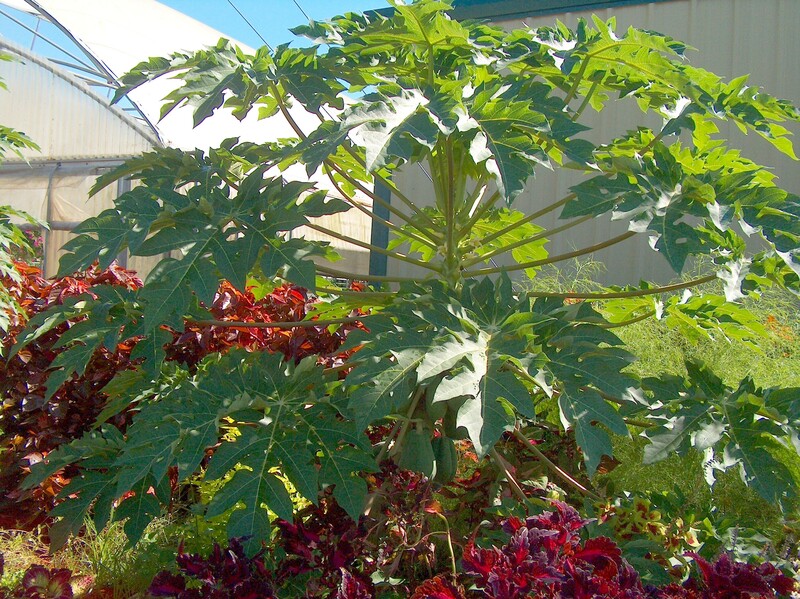 Plants may be from 6 to 15 feet in height. Plant in large tubs in areas subject to freezing temperatures. Makes a handsome tub specimen.